With new properties come new issues. This is what makes “nano” interesting in various fields of technologies. When they are used in these new ways, safety of nanomaterials has raised serious concerns. Because of their very small size and higher surface area per mass, most nanomaterials often behave differently from their bulk counterparts and need to be tested separately. As with ordinary materials, some nanomaterials will be more harmful than others and some may be appropriate to be used in one context, but not in others. The talk will focus on safety implication of nanosilver (considered one of the most frequent used nanomaterials) on human health and the environment. 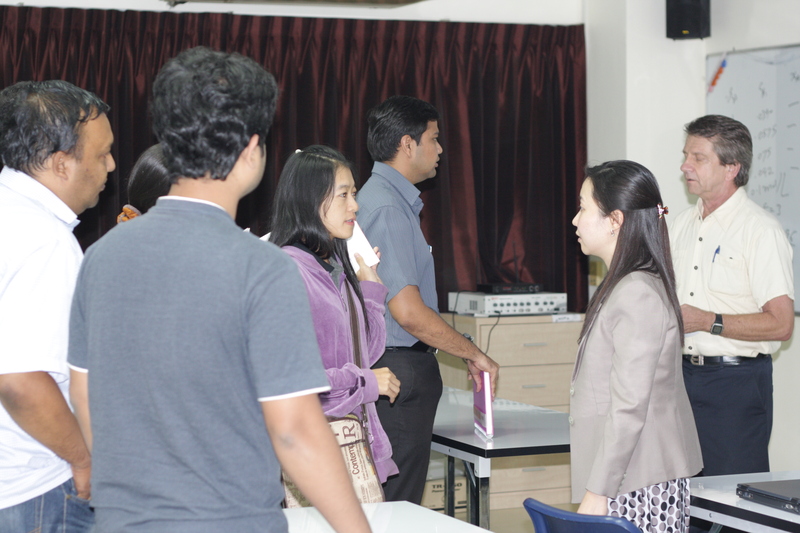 On Nov 1, Dr. Rawiwan Maniratanachote a researcher at Nano Risk and Safety Assessment Lab (NANOTEC) was a guest speaker at AIT Nanotechnology Center. The title of her talk was NanoSafety: Safety Implication of NanoSilver. It covers topics related to potential exposure to nanoparticles (lung and inhalation and skin and dermal exposure), silver nanoparticles (health and environmental aspects), and nanosafety research activities at NANOTEC. In striving to be visible NANOTEC has established collaborations with local universities and research institutions such as AIT by forming centers of excellence (COE) in nanotechnology. It is NANOTEC’s hope that this speaking session will act as a catalyst to promote sharing of scientific knowledge between NANOTEC and COEs on a timely basis. 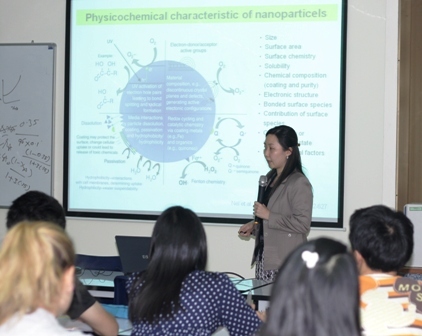 An upcoming speaking session that is currently in the works is in the area of nanotechnology in cosmetics. The date and time of the speaking session will be announced soon. Many thanks to those who help to organize this speaking session.